In this tool, you start by picking your primary color and accent color. Afterwards, it will show you a live preview of the generated color palette and offer you a variety of ways to download it. 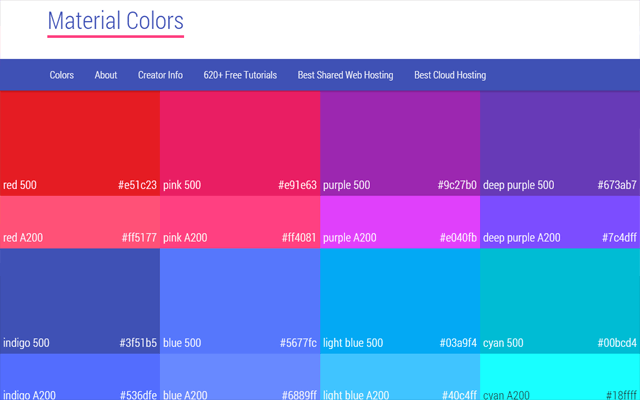 This is a nifty “cheatsheet” that presents all of the material design colors in one page. Do you want to let fate decide what your color palette should be? 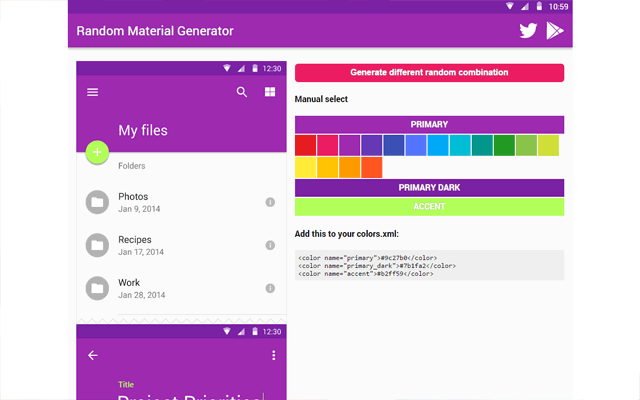 Use this tool to randomly choose your material design colors. If you’re interested in creating a custom, material-design-like color palette, check out this tool. First, you need to specify a color — and it doesn’t have to be one of the official material design colors — using a color picker dialog window similar to the ones you can find in your favorite graphics editor. 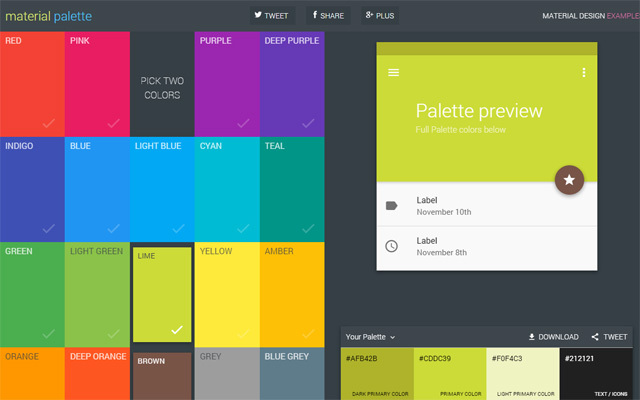 The Material Design Palette Generator will then generate color swatches based on your chosen color. 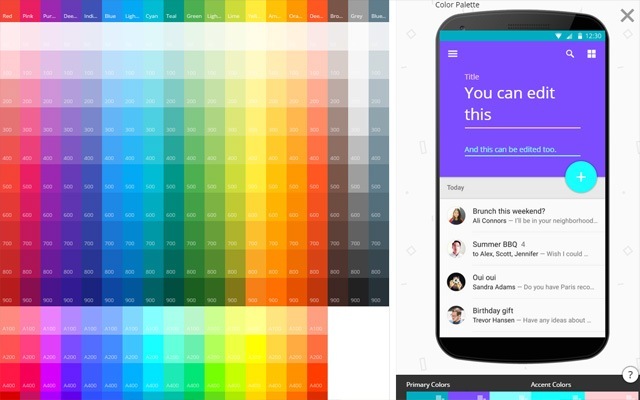 This useful tool shows all material design colors in a conveniently compact grid layout. 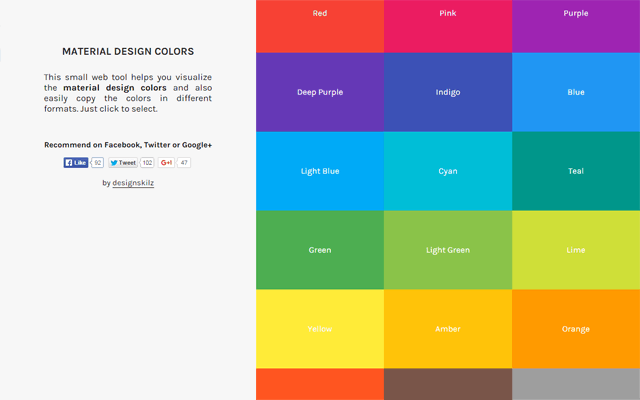 Click on a primary color and accent color to preview and generate your color palette. 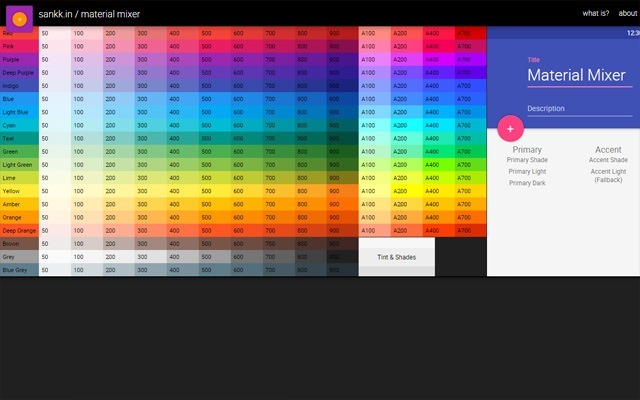 This tool displays just the 500 and A200 colors of material design color swatches. 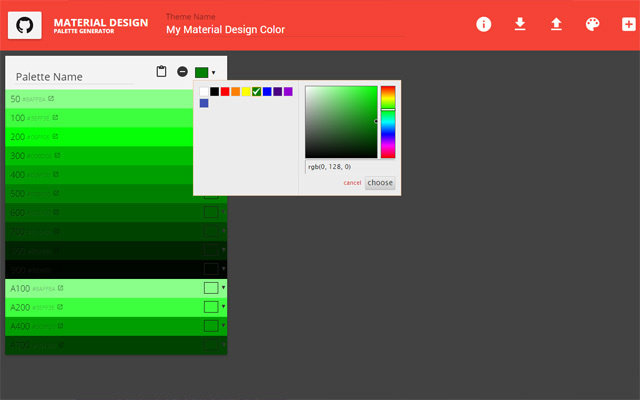 This is another simple tool for visualizing material design colors. It shows the primary colors side-by-side. Clicking on a “color bar” shows all of the color swatches associated with that color. 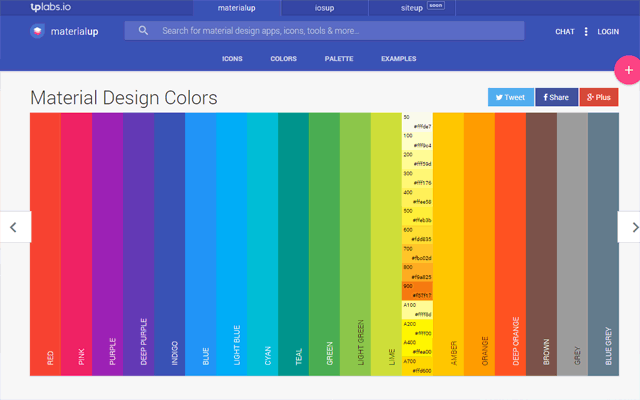 This tool displays just the material design 500 colors. This simple tool helps you visualize all the material design color swatches along with their official names (e.g. Pink, Light Blue, etc.). 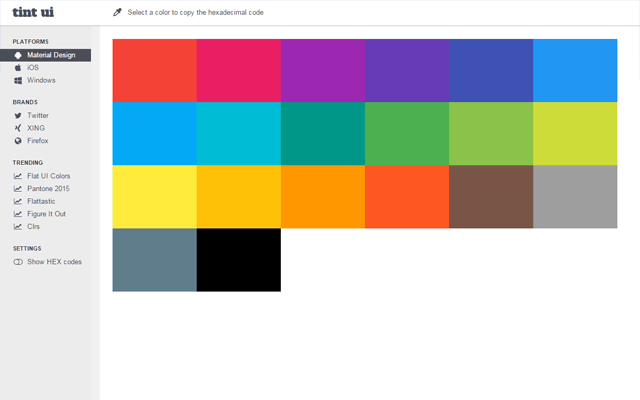 If web tools aren’t your thing, you can instead install a plugin/extension that integrates the material design color swatches right into your design software. For Photoshop / Illustrator: Google provides downloadable Adobe color files (.aco) to make it easier to develop your color palette within Photoshop and/or Illustrator. For Sketch: Check out the open source Material Design Color Palette Sketch Plugin by Koji Ishimoto. For Gimp / Inkscape: You’ve got a couple of options: gimp-material-design-color-palette by KiSSFLOW and material-design-colors by Soichiro Kashima.